Viola Davis recently became the first black actress to ever win the Emmy for Outstanding Leading Actress in a Drama Series, for her performance in How to Get Away With Murder. In her acceptance speech, she gave a quote that will surely go down in the history of great acceptance speech quotes. Ms. Davis said, “The only thing that separates a woman of color from anyone else, is opportunity.” Truer words have never been spoken. I’m not saying black actresses don’t get any recognition at all, or ever have, because that’s not true. Since 1939, when Hattie McDaniel laid the foundation for black actors in general with her Supporting Actress win for Gone With the Wind, black actors have been getting some recognition. But the issue is, that black actors, and actresses especially, don’t get enough recognition. Consider that a black actress never won Best Actress at the Academy Awards until 2002. 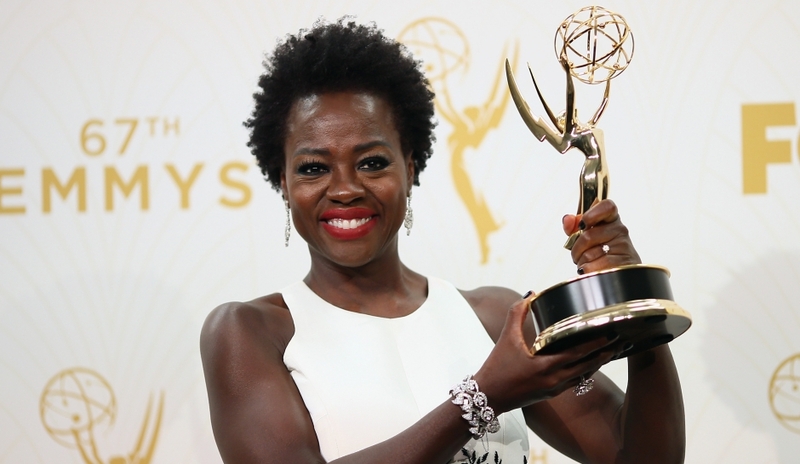 Until this year, no black actress won the Emmy for Leading Actress in a Drama. A black actress didn’t win Best Actress in a Play at the Tony Awards until 2005. But, I would like to focus on Hollywood and the movie industry. The Hollywood ladder, in terms of power and appreciation, is as follows: white male, white female, black male, black female. Black actresses are at the bottom of the barrel because they’re women and they’re a minority. That may explain why only 15 black women were Oscar nominated in the 20th century. I use the Oscars because that’s the highest honor anyone can get in Hollywood. This century alone has produced 13 Oscar nominated black actresses which means we’re improving. Beyond that, what makes Viola’s win so legendary is that it is in the leading category. Most of the Oscar nominations earned by black actresses have been in the supporting category. As a matter of fact, on the night Viola Davis won her historic Emmy, two black actresses won for their performances in supporting roles. There have also been more Supporting Actress winners of color at the Oscars than in the Leading category. To this day, Halle Berry is still the sole black winner of the prestigious Oscar for Leading Actress. Additionally, it was another eight years before another actress of color was just nominated in that category. Don’t get me wrong, being nominated is great no matter which category, but there is a prestige difference between Leading and Supporting. And the only reason that more black actresses aren’t nominated, is because they aren’t getting the roles. They aren’t somehow as marketable as the rest of the actors on the ladder. But there isn’t a black actress out there who couldn’t do what Julianne Moore, Kate Winslet or Cate Blanchett can do. Viola Davis, Phylicia Rashad and Angela Bassett could have played the lead in Still Alice, or The Kids or All Right or Little Children. It’s a shame that legends such as Alfre Woodard, Cicely Tyson or Ruby Dee didn’t get the recognition they deserved because they didn’t get the roles. Even before them, Ethel Waters, Hattie McDaniel, Juanita Moore and others were limited to roles of submissive nature. So, I love Viola Davis’ win. Not just because she deserves it (she’s truly amazing in How to Get Away With Murder), but also because it’s another big step. Davis is becoming, if she hasn’t already become, a huge pioneer for black actresses. Along with Audra McDonald, who has won the most performing Tony Awards, they have jump-started the revolution for our generation. The next step is to start getting black actresses nominated for roles that aren’t a slave, nanny, mammy, maid, impoverished citizen or real person. It’s time writers start writing roles for black actresses that could be played by any actress – roles in films like Blue Jasmine, The Savages, You Can Count On Me, Away From Her, Thelma and Louise and similar. Then maybe, we’ll have a black Katniss or a black Tris. The talent is there. The passion is there. The work ethic is there. But the roles aren’t. Spike Lee and Tyler Perry shouldn’t have a monopoly on the pool of black actresses. Directors such as Woody Allen should create roles for black women. Then, there’s the issue of having more black writers or casting directors, directors and producers who are more willing to give black actresses the chance to lead in their films. The Help and 12 Years A Slave offer great roles for black actresses, but they also pigeonhole them. How about a black Clementine Kruczynski? Or how about Loretta Devine playing Kay in Hope Springs? All black actresses need is the opportunity and they will wow you. This entry was posted on Sunday, October 11th, 2015 at 1:27 am and is filed under Film Critics Blog. You can follow any responses to this entry through the RSS 2.0 feed. You can leave a response, or trackback from your own site.